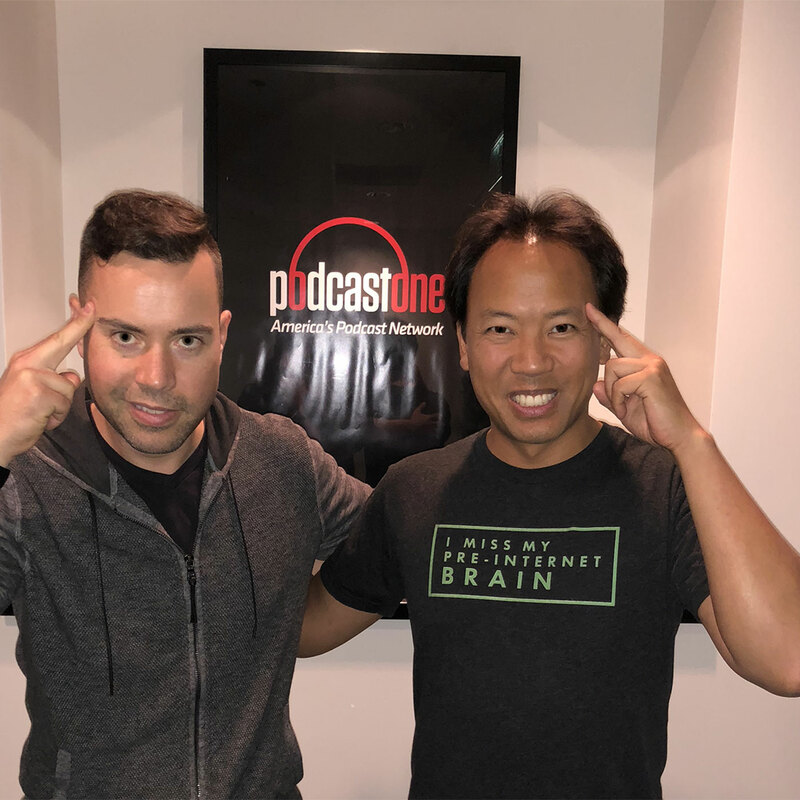 Jim Kwik (@jimkwik) is the CEO of Kwik Learning with 22 years of experience teaching speed-reading, memory improvement, and optimal brain performance to top politicians, actors, CEOs, industry shakers, and world leaders. What accidental — and often negative — self-talk does to program your brain and keep you from achieving your true potential. How you can learn more in less time and apply it as a force multiplier to improve your life. Why forgetfulness is more of a glitch in attention rather than retention. How to hack your long term memory. The three supervillains of the modern online lifestyle that hold your brain back from being the best it can be. Do you find it difficult to recall someone’s name mere minutes after they’ve introduced themselves? Are you struggling to get through a book a year, let alone make a dent in your ever-growing reading list? Does the amount of information at your fingertips overwhelm you beyond the ability to process it in a meaningful way? Do you miss your pre-Internet brain? Kwik Learning CEO Jim Kwik (his real name) has more than two decades of experience teaching speed-reading, memory improvement, and optimal brain performance to top politicians, actors, CEOs, industry shakers, and world leaders — and he joins us here to share some of his best secrets for unlocking your brain’s superpowers. Listen, learn, and enjoy! Like most superheroes, Kwik Learning CEO Jim Kwik has an origin story that explains how his superpowers came to be and why he chooses to use them for good instead of self-serving evil. When head trauma at age five turned him into what his grade school teacher loudly proclaimed as “the boy with the broken brain,” Jim was resigned to being the slow thinker everyone expected him to be. His self-limiting beliefs — instilled and reinforced by the “smarter” people around him — kept him struggling and subservient to the notion that he would never be as bright as his peers or capable of excelling to any degree beyond the lowest of averages. Jim had trouble remembering things, so learning was especially challenging. In fact, it took him an extra three or four years just to catch on to reading. Concepts seemingly simple for others to grasp took multiple explanations to stick, and even then chances were pretty good they’d soon become unstuck. Now Jim reads five books a week. He’s confident enough to speak in front of thousands of people at conferences around the world. If he’s ever met you, he’ll probably be able to greet you by name in passing five years from now. He knows phone numbers without having to rely on his smartphone. “My mission is to teach people how to learn faster, focus faster, think faster, remember things faster, read faster — because I feel like the most important asset we have in today’s fast-paced knowledge economy that’s so competitive is our time,” says Jim. “Time is the one thing we can’t get back, and how many people feel like we’re losing time? We’re losing ground? We can’t keep up. It just gets worse and worse. Listen to this episode in its entirety to learn more about why we should strive to be thermostats rather than thermometers, the dangers of automatic negative thoughts, why forgetfulness is more a problem of attention than retention, the three supervillains of the digital age, why you should drop the habit of checking your phone first thing in the morning, what relying on the Internet for everything has done to our memories, why blaming bad genetics for lousy memory is a cop out, how MOM can help you remember everything from names to events to phone numbers, how to become a better listener, why Jim makes an effort to remember his dreams upon waking, and lots more. Click here to thank Jim Kwik at Twitter! Change Your Brain, Change Your Life: The Breakthrough Program for Conquering Anxiety, Depression, Obsessiveness, Lack of Focus, Anger, and Memory Problems by Daniel G. Amen M.D. TJHS 6: Simon Sinek | What’s Your “Why” and Where Do You Find It?